The Islamic State has released a video with a threat to kill a second Japanese hostage and a Jordanian pilot in the next 24 hours if the Japanese authorities fail to persuade Jordan to release failed suicide bomber Sajida al-Rishawi from prison. The video uploaded on the web by the jihadist group is comprised of an audio message by Japanese hostage, Kenji Goto, and a picture of Goto, dressed in an orange jumpsuit, holding a portrait of a Jordanian military pilot, Muadh al-Kasasbeh. The hostage urges the Japanese authorities to put political pressure on Jordan to accelerate the release of the female terrorist. “Her for me. A straight exchange. Any more delays for the Jordanian government will mean they’re responsible for the death of the pilot, which will then be followed by mine,” he said in the video. Following the video’s release, Japan said it would renew its request for Jordan to help it secure Goto’s immediate release by Islamic State. "This was an utterly despicable act, and I am appalled," Japanese Prime Minister Shinzo Abe told reporters on Wednesday. "I have instructed all ministers to work together for the early release of Mr. Kenji Goto," he said as quoted by the AFP. "The Japanese government in this extremely severe situation has asked for collaboration from the Jordanian government to help secure the release of Kenji Goto swiftly. There's no change to this stance," Yoshihide Suga, Japan’s chief cabinet secretary, was cited as saying by Reuters. 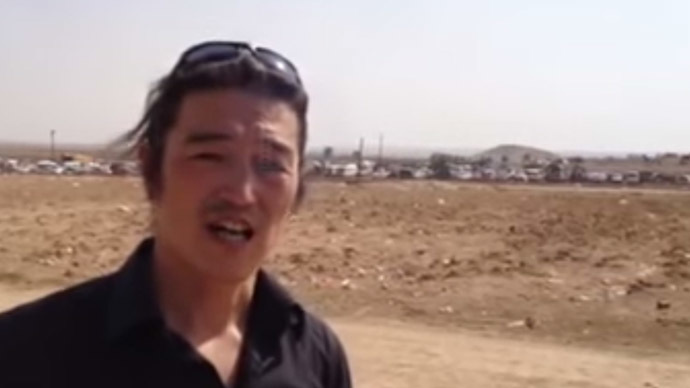 Goto, a freelance video journalist, was reported missing in Syria in October 2014, where he went to try and rescue another Japanese hostage, Haruna Yukawa. Yukawa was beheaded by the Islamic State last week, and a picture of Goto holding a photo of his countryman’s severed head was then released. 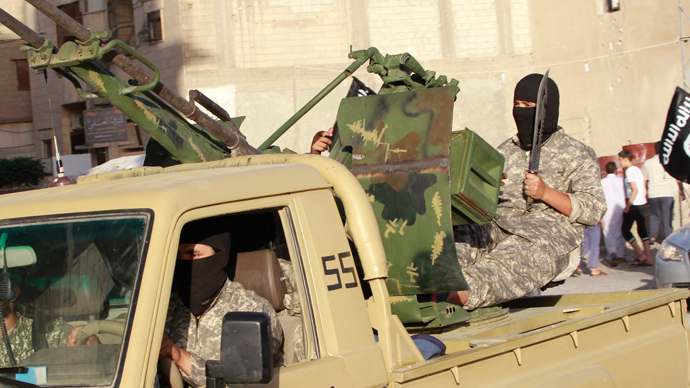 The jihadists initially wanted $200 million for Goto’s release, but then decided to swap him for Al-Rishawi, a woman who has been behind bars in Jordan since 2005 for a failed suicide bombing attempt. Al-Kasasbeh, a first lieutenant in the Jordanian Air Force, was captured by the Islamic State in late December as his plane came down during an air raid by the US-led coalition.